A new investigation finds Wisconsin has a growing problem with getting repeat operating while intoxicated offenders off the road." With cars, if it's not one thing, it's two things. Time to admit that the system just does not work. If all the violations were aggressively prosecuted, there would be few people left able to go to work. Implementing free transit would reduce and eventually eliminate this problem. Many youths in the community feel access to public transportation is a way for them to get to jobs and stay out of trouble." Milwaukee Neighborhood News Service: "Bill Sell, Milwaukee Transit Riders Union: Of course it’s an economic development tool. Those folks who don’t ride do not see the packed buses during rush hours. Riders reduce our state and national dependence on fossil fuel, and cost the government much less to support than building and rebuilding concrete roadways. Transit is the lower-cost solution to our transportation needs." madison.com : "For all you econ majors out there: Supply and demand for Madison Metro is in a state of disequilibrium. There is sizable and increasing demand for the service but the proportionate increase in supply, which depends on funding from the state government, remains a political talking point, "
Taxes, transportation major themes at our public forums: "“If you’re not a driver, you’re a second-class citizen. That’s what it feels like,” said William Bublitz, who said he’s been yelled at by drivers for walking on roads that don’t have sidewalks." Care2 Causes: "Cities like Milwaukee, for example, are experiencing an influx of new urban residents and an uptick in job growth. Another city where this is particularly well-illustrated is San Francisco, where tech firms are relocating downtown from their traditional Silicon Valley locations and tech workers are following them, though the consequence is a painfully tight rental market as a result of housing shortages. In the long term, though, urban growth represents a number of advantages, including the possibility of upward mobility for low-income Americans, better environmental policy as suburban regions become less appealing, and a reduction in car ownership as the need for long commutes ends and people live where they work. And that’s what Ben Adler at Grist is particularly interested in, because when populations at urban hubs boom, so by extension does public transit." 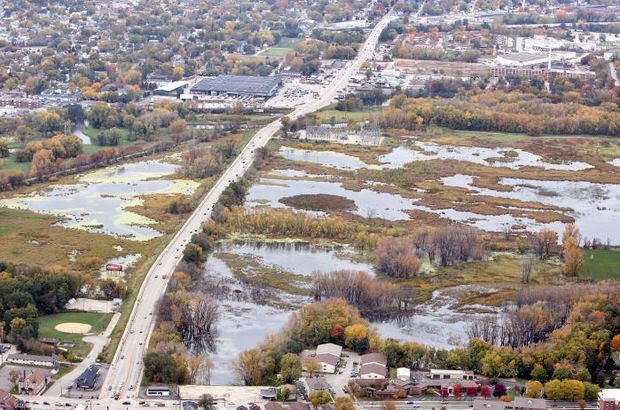 lacrossetribune : "With one north-south artery, Lang Drive, running through the La Crosse River marsh -- and an electorate that soundly rejected a proposed second road through the marsh -- La Crosse officials were reluctant to sign on to a study by the Wisconsin Department of Transportation, which wants the city to agree to go along with the final recommendation before the DOT will study ways to alleviate congestion on the cities three main north-south roads: Lang Drive, Hwy. 16 and Rose Street." Waunakee, WI, #freetransit a "godsend"
County grant to offer seniors transport options - The Waunakee Tribune: Regional: "Four times a week, 96-year-old Sun Prairie resident Beulah Muchlemann gets on the bus to take the short trip to the Colonial Club. Since she stopped driving more than 10 years ago, the free service has been a godsend, allowing her to go play cards, socialize with friends, and get a noontime lunch."